The death has taken place of Joe Bruton, father of John Bruton and Richard Bruton. He died just three days before his 100th birthday. Mr Bruton was a prominent farmer for decades and columnist with the Irish Farmers' Journal. His wife Doris died three years ago. They had three children. Former Taoiseach John Bruton is currently EU Ambassador to the United States, Mary runs a Montessori school in Dublin, while Richard is Fine Gael deputy leader. Matthew Joseph Bruton, known as Joe, was born near Dublin's Phoenix Park into a family that was steeped in the cattle trade. He farmed in Dunboyne, Co Meath and supplied beef to many butchers in Dublin. 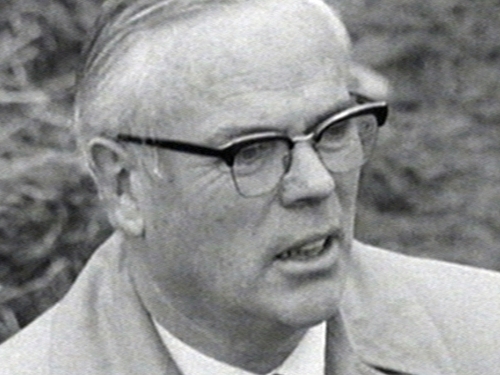 Mr Bruton was prominent in the farmers' rights campaigns in the mid-1960s, and was a weekly contributor to the Irish Farmers' Journal for quarter of a century. He was described as a genial man who enjoyed music and reading. Joe Bruton was also a former chairman of the IFA Livestock Committee and of the Dublin Port and Docks board. He was a former president of the Grassland and Animal Production Association, the Agricultural Economics Society of Ireland, and of the Irish Bee Keepers Association. He was also a member of the Royal Dublin Society and was president of its Agricultural Committee. IFA President Padraig Walshe said Mr Bruton was one of the leading beef farmers of his generation and recognised as a supreme innovator. 'During his time in IFA, he represented the interests of farmers and played an important role in the development of the Association,' he added.